The Murray Grey was originally noticed for its ability to flesh well and finish as good or better than the herd members from which it was derived. As the years passed and small herds of Murray Greys were established and steers sold to the fore, it was noticed that their tenderness and eating qualities were also of superior quality. Whilst success in the Australian carcase competitions, taste competitions and feed lot production of beef for Japan, there has not been the same opportunity in New Zealand for this development, due to the nature of the differing marketing strategies, where emphasis on quantity for the USA grinding beef market has taken precedence over quality. Murray Greys have enjoyed some success in the few carcase competitions and the Steak of Origin competition to date. Whilst marbling of the meat by the inclusion of intra muscular fat is desirable for the Asian trade it is not desired in the current aim to produce ‘lean beef’ However, taste has much to do with the fat component of a good steak and a balance between the two is perfection! 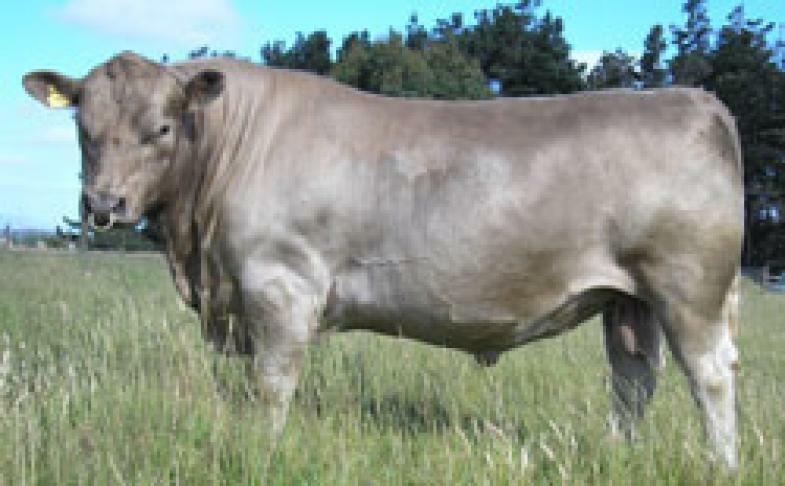 The main attributes of the Murray Grey in New Zealand is as a maternal dam breed, producing a female of excellent foraging ability which can survive the extremes of seasonal change, can consistently produce a medium size calf which is quick to get up and seek its first feed, grow vigorously on a bountiful milk supply, wean at a good weight and finish for the beef market before its second winter as a 20 month old. Bulls for use over dairy heifers are also another outlet for which the breed can be used. Low birthweight and easy calving are attributes desirable to the continued production of dairy heifers. Along with these the calves are vigorous at birth, quick to stand and seek food and fast growing. All traits to reduce stress on the dairy operation and for the subsequent rearer of these cross bred calves. Easy going temperament in both the males and females of the breed are also an essential component on any cattle operation. Recently, DNA work to identify economical traits have been identified. In Australia, two of the genes involved in tenderness and one for marbling have been identified and enable an animal to be assessed for its ‘eating’ potential without actually killing it. DNA from tail hair follicles can be analysed. In New Zealand work is being developed on the presence of the Calpain 1 gene for tenderness. Murray Greys appear to have a high incidence of the Calpain 1 and Calpastatin genes throughout the breed and work is ongoing to identify and develop the tenderness attributes even more in the future.